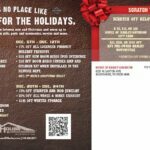 House of Harley relies on direct mail as an important part of their marketing mix. They know that compelling art and a clear message still have the power to stand out for the customers they target. That’s why they’ve built up the physical size of their pieces over the last few years, along with the quantity mailed. It helps generate a better response and makes mailings a more viable part of the marketing mix. 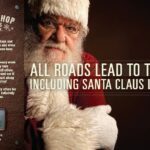 “The scratch-off concept worked incredibly well to drive traffic into the House of Harley-Davidson for pre-holiday shopping. The House sets itself apart from other Harley dealerships with our truly exceptional customer service. So driving new traffic into the store will always result in increased sales, not to mention strengthening the relationship with our loyal customer base. We also used the piece as a calendar of events for the month of December so the customers would have advanced knowledge of which events and offers were forthcoming. Interested in trying your own scratch-off project, or any project, with Heritage Printing? Check out http://www.clickheritage.com/.